The long weekend is coming in hot and we’ve got one question for you….. DO YOU EVEN 90’s?! Hope so, because it’s the return of BABY’S GOT BACK! On Sunday, September 30th get ready to Bump n’ Grind and get down & dirty with some of our favourite Soda DJ’s. The Long weekend antics will begin from 6pm, and you can expect the best of the best RnB, Hip-Hop & Classic 90’s tunes. Baby Makin’ Bangers will be playing from the likes of C&C Music Factory, TLC, Aaliyah, Missy Elliot, Janet Jackson, Bobby Brown, Kris Kross, Bones Thugs-N-Harmony, Biggie, Pac, New Jack Swing, Haddaway, R- Kelly, Usher, Tony Toni Tone…the list goes on. 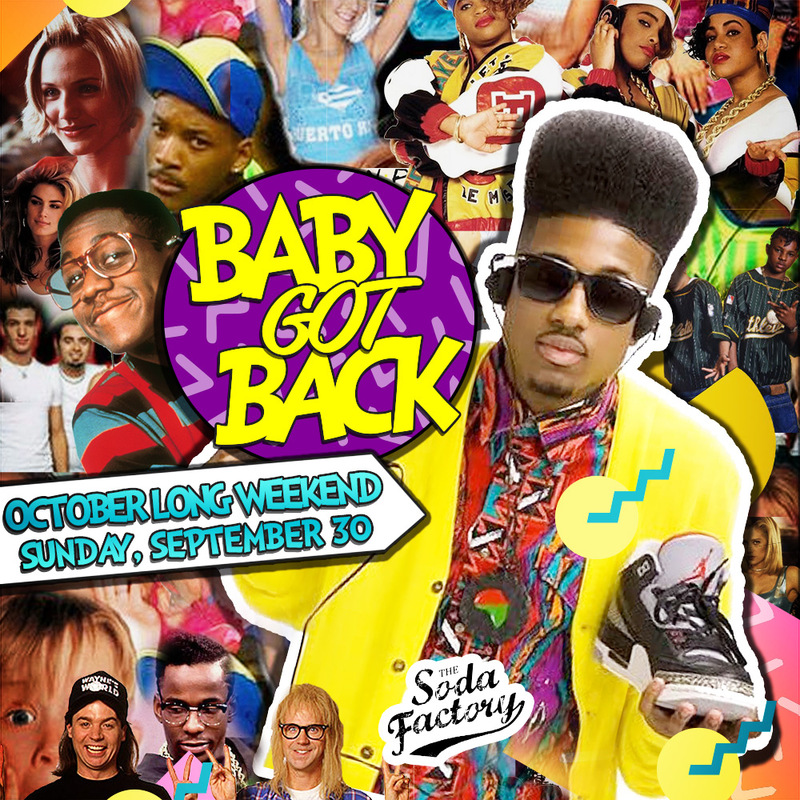 Grab your butterfly clips, chokers, double denim & platform shoes, and shake your way down to The Soda Factory. R&Bae DJ’s will be playing until very late! Book now via hello@sodafactory.com.au, limited guest list availability. Don’t’ miss out on our recovery session at Movie Monday’s followed by The Monday Jam.